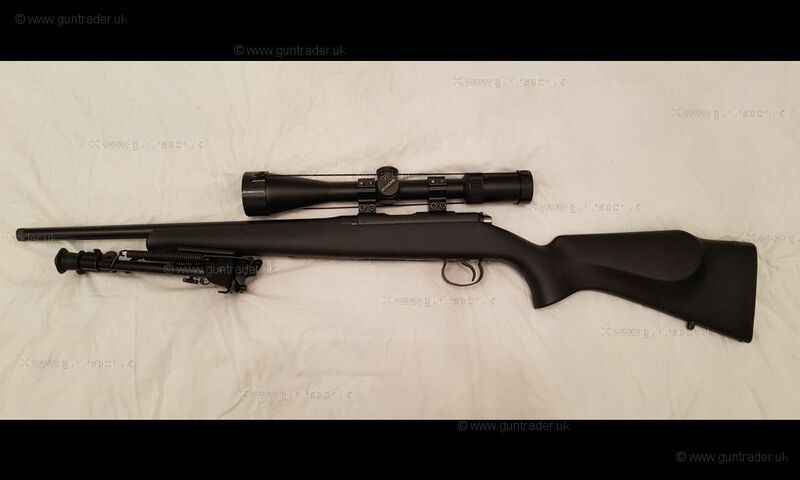 Mint condition CZ 452 American Synthetic bolt action rifle in .22LR calibre. 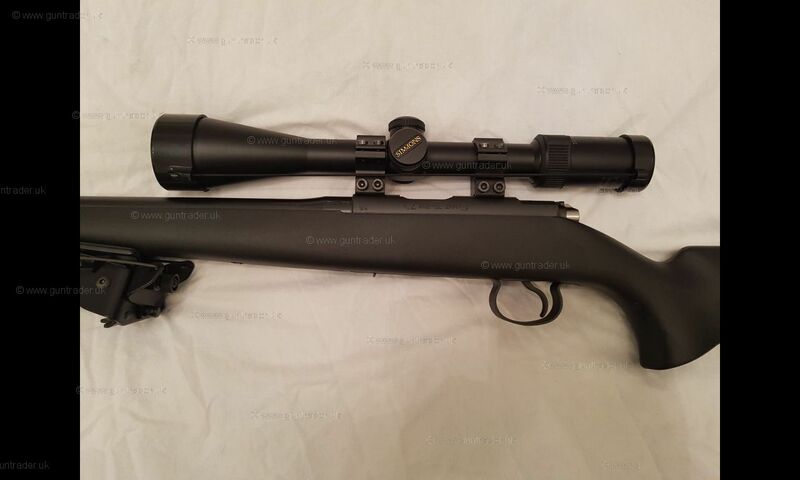 Tough synthetic pistol grip stock fitted with a slim rubber factory heel pad, smooth 452 bolt action set alongside a blued 16" standard weight barrel which has been screw cut 1/2"UNF ready for the addition of a sound moderator. 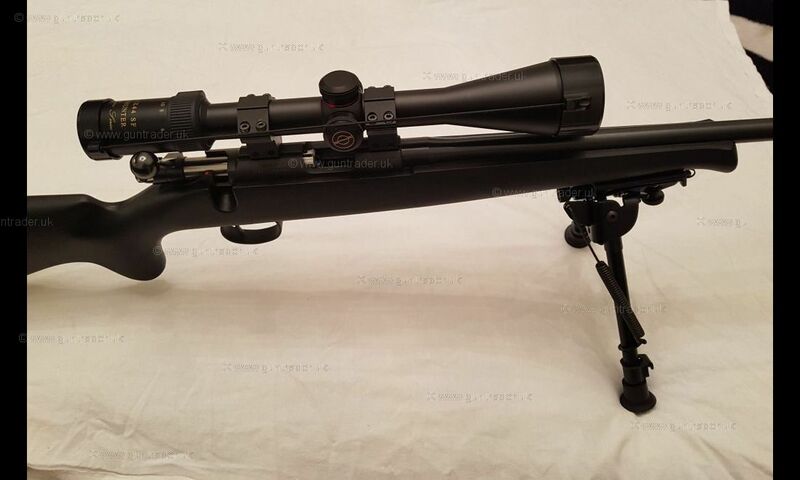 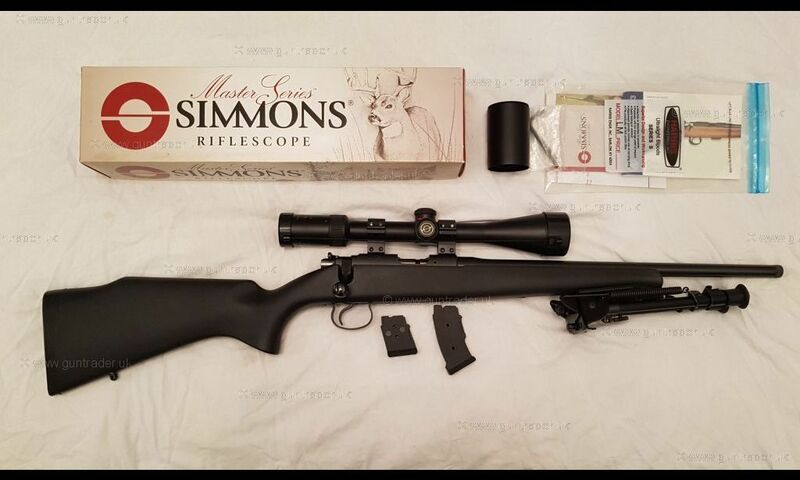 The rifle come with a Simmons Master series 6-12 x 44 SF scope and mounts and a Harris adjustable bi-pod, the scope has only had 2 outings since new and the rifle in first class condition with very very little use. 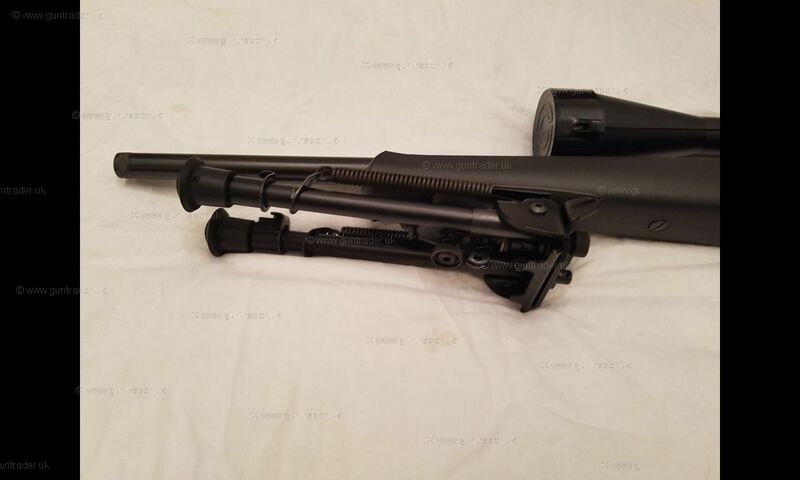 The bore of the rifle is in excellent condition showing no signs of pitting or damage, manual rear bolt safety catch, detachable 5 and 10 round round single stack magazine. 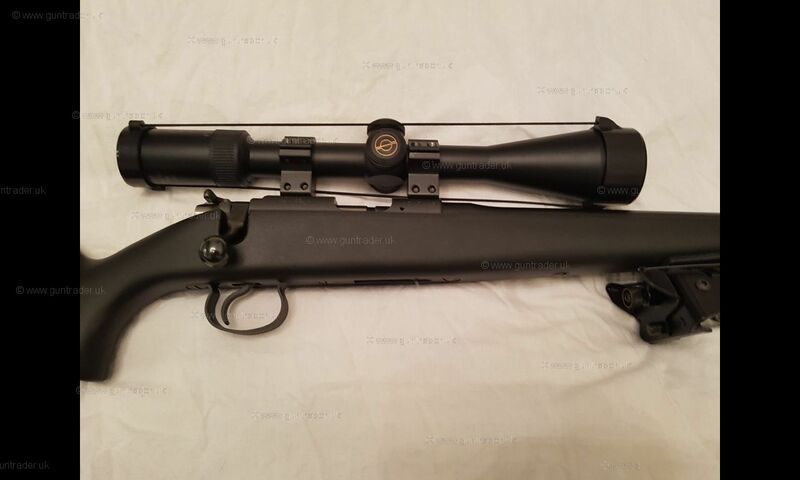 what you see in the photos is all included in the sale Please email or call if you have any questions.